Southwest Florida draws active adults from across the country to its many 55+ communities. Many retirees have flocked to this region to take advantage of the great weather, recreational opportunities and affordable home prices. Many feel this area is less congested and more appealing than the busier and more expensive Atlantic Coast of Florida. Some of the more notable active adult communities in the area are Del Webb Naples, Pelican Preserve, and Kings Gate. Temperatures in the region rise to an average of 92 in July and 75 in January. Lows rarely drop out of the 70 s in the summer and average around 55 degrees in January. Temperatures farther inland from the Gulf can vary slightly. The Southwest Gulf Coast experiences approximately 54 inches of rain annually. The Southwest Gulf Coast of Florida runs from just south of Tampa to the southern tip of Florida. 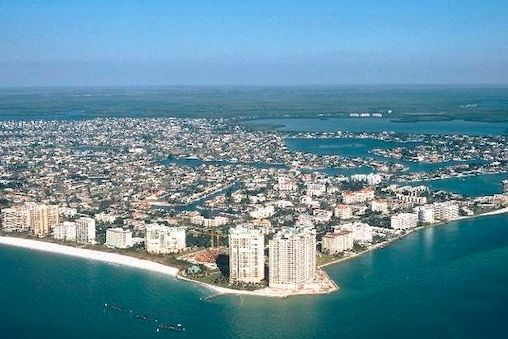 It includes the cities of Port Charlotte, Punta Gorda, Fort Myers, Sanibel Island, Captiva Island, Bonita Springs, Marco Island and Naples, as well as Charlotte County, Lee County and Collier County. Driving south from Tampa, there is a considerable change in scenery around Fort Myers. Here, the forest becomes greener and lusher and there is an abundance of flowering vegetation. Palm trees soon outnumber the oaks and it becomes evident that this is tropical Florida. Active adults looking for this tropical climate will love what Southwest Florida has to offer. For active adults looking to get their fix of culture, the area is alive with museums, galleries and performing art centers. Some of the most popular cultural attractions are Opera Naples, Olympians Museum in Fort Myers, and the South Florida Museum in Bradenton. Active adult residents of Southwest Florida also have many opportunities to enjoy outdoor recreation. Many state and national parks such as Myakka River State Park outside of Sarasota and Picayune Strand State Forest offer great kayaking, camping and bird watching. The Everglades National Park makes up the majority of Southwestern Florida from Marco Island to the southern most tip of the state. Active adults who enjoy sports also have many options in Southwest Florida. Many Professional sports teams call this area of the state home like the Tampa Bay Rays (baseball), Tampa Bay Buccaneers (football), and the Tampa Bay Lighting (hockey). The area is known as the "Golf Capital of the World" as it is home to more golf holes per capita than anywhere else in the world. Active adults who choose to call Southwest Florida home experience a cost of living that is on par with the rest of Florida. The state enforces a sales tax of 6% on all goods sold. A major factor for many people who would like to continue working is the lack of income tax on individuals. Active adults 65 and older are also subject to many other tax exemptions. Active adults who need regular medical attention will be glad to know that Southwest Florida offers numerous hospitals and medical centers. Lakewood Ranch Medical Center bridges Manatee and Sarasota counties and is a leader in cardiac and orthopedic practices. The Blake Medical Center in Bradenton is a leader in senior health services and has been ranked one of the most ethical hospitals in the world by Ethisphere Institutes. Active adults can live in Southwest Florida knowing medical care is never too far away if needed.